This video production, one of the earliest made in the Brent Walker series, is also one of the weakest. 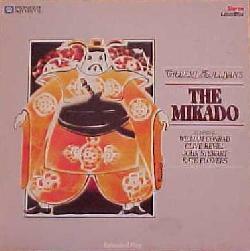 William Conrad, television's Cannon, is utterly out of his element as The Mikado. Clive Revill fails to capture Ko-Ko's human side. It is, overall, a dreary affair. The text is musically complete, but there are some unfortunate dialogue cuts. 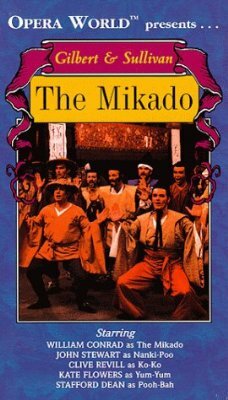 Elimination of the Mikado's reference to "boiling oil" leaves Ko-Ko, Pooh-Bah and Pitti-Sing fearing for their lives for no apparent reason. 2002 Acorn Media DVD AMP-5327 Available only in a 10-disc boxed set (cat. AMP-5483) including the entire Brent Walker series, excepting Trial and Cox and Box.